I was contacted by Becky at Ucreate with kids about being a teacher feature! I did some investigating on her blog which supports teachers, moms, and home-schoolers. She’s a very crafty gal and has SO many talents and great ideas. My current favorite is the blog she did about the superhero scavenger hunt. I am very honored to be her teacher feature today! Join the mailing list to get free downloads in a monthly newsletter. 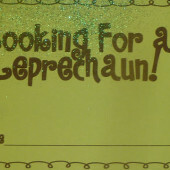 We Looked for A Leprechaun! Congratulations! I think you're great! I am happy to feature such a great blog. Seriously! You are very talented! Thanks Becky! 🙂 I found your facebook page last night and spent some time on there too! I LOVED the hair ideas and shared them. I'm Reagan, an 18 year primary grade teacher with a passion for creating engaging and exciting education materials. This is a place where I candidly share my classroom experiences, lesson ideas, and a dash of my day to day life and loves. Get the latest blog posts delivered straight to your inbox! Fact Fluency: Friend or Foe? Amazon Kindle Fire Kids Edition Giveaway! Meet Me At The Teacher Table! 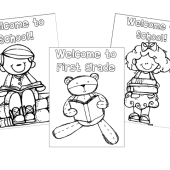 The November Lit Kit for First & Kinder! Guided Math K, 1, and 2! March Math Centers and More! 2016 Colorize Your Classroom Winner! Teaching Coins, Data, and Graphing! Get All Caught Up With Colorize Your Classroom! Colorize Your Classroom Challenge 4! Astrobrights' Papers Colorize Your Classroom Contest Is Back! The Astrobrights Summit: Behind the Scenes! What Does it Take to be a Successful Beginning Reader? Our Last Day in Pictures! Peek at My Week March 29th! Howdy Partners! Come Take A Tour of our Texas Studies! Honoring Veterans in Every Subject! Reading Strategies and my Week! Our Daily Schedule in Pictures! Guided Math Rotations & Explanations! Teacher Week Day 2 Classroom Digs! Math Centers on Day 6! Christmas in July Day 2! I'm Flipping over Flip Books! Word Wall Centers For Any Word Wall! Neon Bloggers Take San Antonio! Take off One Shoe...For Fractions! Oh For The Love of Math! First Grade Texas Conference RECAP! Purposeful Word Work -- Blends! Trick or Read! Door Decorating, Freebies, and More! Place Value Ideas and Rise and Shine Update! Plenty Of Pumpkins and Other Fall Fun! This Week's Math: Resources and Freebies! Highlights of our Learning Launch! Math: How Do We Fit it All In? Ready or Not...Meet the Teacher! Back To School--It's NO JOKING MATTER! Teacher Week! Let's Talk about Me! Guided Reading-Transitional Readers Cheat Sheet! A Teacher's Math Resource Units 1-6 Complete! A New Adventure in Professional Development! Mark and Sally Learn To Tally! It's Official. I am a hoarder. Oh, and a Farm Freebie. Catching up. A Freebie. Some Video. Math is a Picnic...in the Classroom! Literacy Picnic In the Classroom! My Spring Fling with Captain Obvious! Psst! Hey You!! Want a Freebie? President's Day Visual Plans, Freebies, & Finds! All You Need Is LOVE!!! Techy Teacher Tuesday! Free App and Literacy Activity! Visual Plans and I Dyed My Hair! Swimming With Sharks...and a little Claustrophobia! Sight Words and Thinking Maps! Jam Packed January and an Office Make-Over! Making Reindeer Food Meet the Standards! Plans, Crafts, Parent Gifts, and Let's Meet! Visual Plans and Estimate to Win Today! Attack Attack! Calling for Reinforcements! Let's Get Real Personal Post. Pumpkins and Common Core... What More? Bats, Stellaluna, and Visual Plans! Fall Sale and a Funny! Visual Lesson Plans with Links! Are You Ready to Expo? Heading in to School Today! Teach Like A Theme Park? Motivating Students with Props from the Dollar Store! Check Check...Is This Thing On? A Year Of Daily Math! Texas Sized FUN at the blog meet! Are My Kids Still Chasing Me? We Ate a Frog Today! 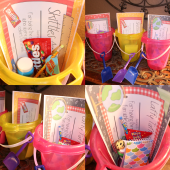 Snack Sized Learning and a Letter Writing Freebie! Shhhh Don't Tell My Diet. First Grade Fashions and Academics Too! Bloggers GONE WILD--Spring Break Meet Up! Morning Work Freebie and a Linky Party! I Think I Can! I Think I Can! Feels Like a Monday!---and a freebie! Today I Celebrate Being in Remission!!! I think I am global. Rowing my Boat. Keeping Afloat. My February Lesson Plans and Winners! I hope this is Freeze Tag. Build A Graph Freebie and Celebrating The Non-Fiction Superbowl! Grab a snack it's a long post! Goats, Trolls, and a FREEBIE! Dream Squashing In Full Effect! San Antonio Texas Blogger Meet Up! Daily Warm Ups for Math and Language! Highlights of the Last 2 Days! 2012 Morning Work Freebie and Another Top Ten! Build a Pizza Math Center! Coziness, Confessions, and Lesson Plans! How Do Penguins Drink Their Soda? Sock Snowman Gift and Merry Christmas Splat the Cat! Freebie, Giveaway, and a Recipe! Black Friday through Cyber Monday Sale! Veteran's Day is Next Week! Bats, Phonics, and My Friday Fix! 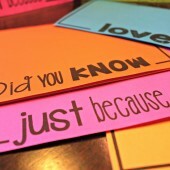 Top Ten Reasons You Know it is BACK TO SCHOOL time! Classroom Pictures Part 2. D-O-N-E!! !